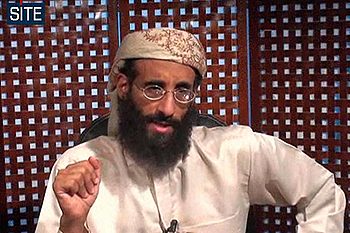 Anwar al-Awlaki speaks in a video message posted to radical websites in Nov. The 9/11 attacks on the World Trade Center dealt a blow to the sanctuary enjoyed by the United States through its geographical isolation. It also changed the American perspective with regards to Islamist terrorism, which occupied a pride of place in the global agenda from being a mere internal issue faced by countries that bordered Pakistan and Afghanistan. The decade that followed gave birth to the Global War on Terror and also inadvertently led to an increase in the number of terror-related incidents occurring on American soil. The U.S. government reported 46 incidents of domestic radicalization and recruitment between 2001 and 2009, and that does not include half a dozen other incidents that might have happened away from government eyes. The efficiency of U.S. Homeland Security has been called into question numerous times by several bombing attempts and shootouts. The number and sophistication of the attacks have increased over the years, as it is evident from the Congressional report that states that there were an average of six attacks per year, and 13 in 2009. Only 25 percent of the identified plots were traced back to links with major organizations such as al Qaeda, but an analysis paper from the Bipartisan Policy Center points out that an increasing number of radicals are playing high-level operational roles in al Qaeda and allied groups. The most popular and publicized of them have occurred in the last year: the Fort Hood shooting that shook the morale of moderate Muslims living in the United States, the failed attack of the Christmas-day bomber and most recently the Times square bomb. The last two were thwarted, not due to any specific pre-eminence on the part of the authorities, but rather due to technical incompetence in planning, design and execution of the plot. It is wishful thinking to believe that the terrorists, whether home-grown or foreign, would remain restricted to dirty bombs forever. While the heavily funded War on Terror aims to deal with terrorism from abroad, the United States knows it cannot launch a similar campaign to weed out domestic terrorism, which is not merely financially but also ideologically funded by organized networks. Several U.S. educated members are among the higher ranks of al Qaeda, and their campaigns over the Internet have been instrumental in recruiting American Muslims. A notable example in this case is the American-educated Anwar Al Awlaki (euphemized as the bin Laden of the Internet), who has been rallying support among disillusioned Muslims in the United States through his blog, a Facebook page and numerous YouTube videos. He is reported to be targeting educated American Muslims due to his command over English and ability to empathize with causes such as that of Palestine. Al Awlaki's sermons were attended by three of the 9/11 hijackers. His sermons were also attended by accused Fort Hood shooter Nidal Malik Hasan. U.S. intelligence intercepted at least 18 emails between Hasan and al-Awlaki in the months prior to the Fort Hood shooting, including one in which Hasan wrote, "I can't wait to join you [in the afterlife]." In March 2010, Al Awlaki said in a videotape that jihad against America was binding upon every able Muslim. His fluency with English has led to him being considered more dangerous than Zawahiri or bin Laden himself, with whom he is often compared, as he does not need subtitles on his videos to indoctrinate young people in the West. Ironically, U.S. involvement in the War of Terror has provided enough fodder to the jihadi front to campaign against American hegemony among the Muslims in America. Videos of bin Laden and Al Awlaki and their continued escape from U.S. forces have given them a cult status and a huge fan following. It is this mass appeal that the United States will find hard to destroy in the long run. The deep seated perceptions and attitudes among the Muslim and non-Muslim communities about each other have helped fuel a small but growing number of Americans more susceptible to extremist ideology. U.S. counterterrorism agencies have woken up to the harsh reality of dealing with radical Islamists closer to home than ever before. However, steps to counter this threat are vague and far from being well defined. It is evident that the real threat is not the amateur homemade explosives and random shootings, but the ideology that gives birth to such radicalization. The government must, therefore, deal with the ideological prejudices among and against Muslims. The government must bring itself closer to the Muslim communities instead of trying to curb their civil liberties, as has been the case especially in airline security checks that sow more discord among the community against the United States. American Muslims cannot be treated as the enemies. They, in fact, have a vested interest in the fight against terrorism, as it would help restore the tarnished image of their community. Thus, a nationwide, coordinated, community partnership framework is the real solution to the issue of domestic terrorism. The local leaders of the Muslim community must be brought to the table to talk with law enforcement, especially counter terrorism officials. Meetings should be conducted on a regular basis with all stakeholders and decision makers both from the government and the Muslim community. The next logical step is to use this partnership to gather intelligence on future terror plots, extremist campaigning in mosques, community centers and other such gatherings. This would remove the need for law enforcement to be present in areas that would hurt Muslim religious sentiments. The communities are best suited to report unusual occurrences and radical propaganda, and they need to be educated in reporting it quickly. The law enforcement officials, on the other hand, need to be educated in Islamic customs, providing them religious and linguistic insight into the intelligence they receive and how best to deal with it without arousing violent reactions from within the community. A clear understanding of Islam is therefore indispensable to law enforcement in its fight against terror. It is obvious that a mere drain of trillions of tax dollars into the bottomless pits of Afghanistan is not sufficient to combat the terror threat that America faces today. A multi-pronged counterterrorism strategy focussing both on terrorist bases abroad as well as involving the Muslim community in the United States to work in coordination with the counterterrorism agencies is the key. The United States will remain safe from radical Islamist terrorism only by implementing a strategy based on intelligence (as opposed to knee-jerk reactions) and coordinated law enforcement conducted in a pro-active and sustainable partnership with the American Muslim community. Jeysundhar D is an India-based political analyst and blogger.